A newly refurbished colonial style Bridge featuring Chinese godeses. 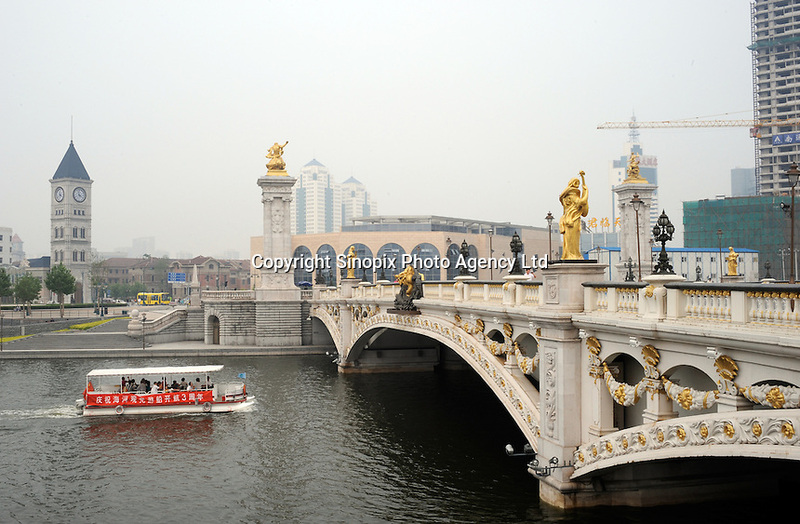 Tianjin was ruled by various overseas countries in the past including the British. The Olympic coastal city of nine million is in the last throes a make-over before the start of the Olympic Games 08th August and colonial aspects of the city are being featured..